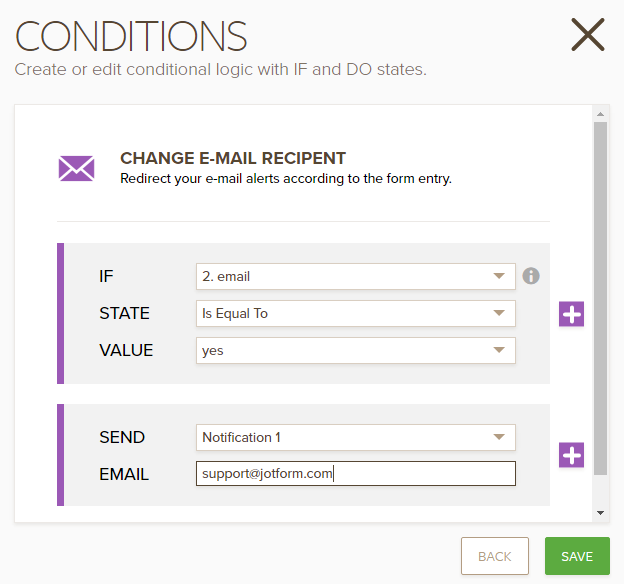 I have set up my form to send a notifier to email #1. If however, a certain box is checked, I would like to send a notifier to email #1 AND email #2. In other words, Email #1 always gets a notifier no matter the conditions, in addition email #2 only gets an email if a certain box is checked. When I go into to set up a condition, the only option I'm seeing is to replace Email #1 with Email #2. Thank you for contacting us. If I understand you correctly, you have already created an email notification. You would like this to be send to a specif person, but also would like to send it to a second person when a specific field is filled. If this is not correct, please let us know. 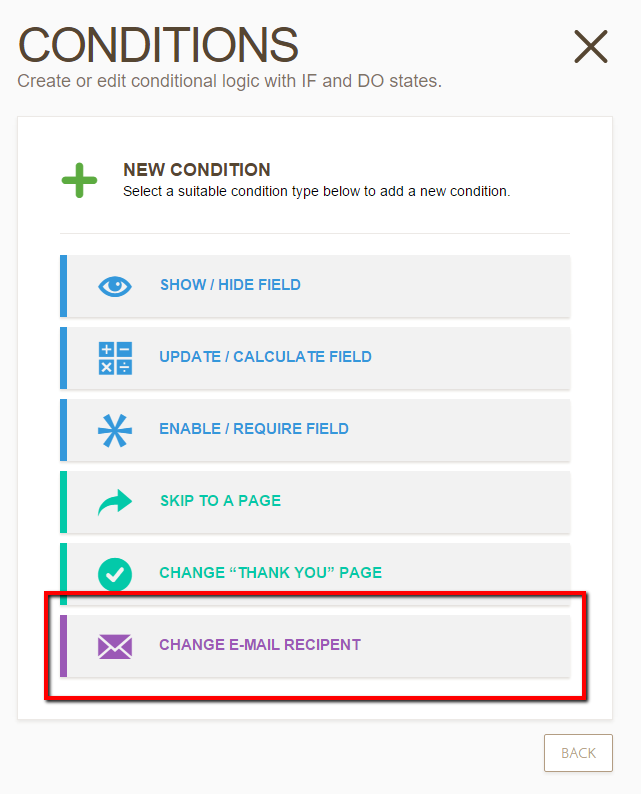 You would just need to create a condition so the form can send a notification to the second person when the field is filled.